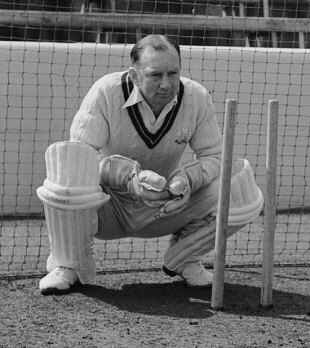 Arthur McIntyre, the former England wicketkeeper, who played three Tests between 1950-55, has died aged 91. He made his first-class debut for Surrey in 1938 and featured in 376 matches for the county, scoring 10,893 runs at 23.22, along with 615 catches and 147 stumpings. His international career would have been considerably longer and more productive had he not played at the same time as Godfrey Evans. Making his debut against West Indies at The Oval in August 1950, he managed just 19 runs and eight catches in his short Test span. He was also honoured as one of the Wisden Cricketers of the Year in 1958, with his contributions behind the stumps being one of the main reasons for Surrey's record run of six County Championships. After his retirement from the first-class cricket in 1958, he made occasional appearances for the Surrey first-team, and won the Championship as coach in 1971. He retained his association for a further 20 years as coach, finally retiring in 1978, leaving an indelible impression on generations of young Surrey players. At the time of his death, Arthur was the oldest living England cricketer - an honour that now passes to Alec Bedser. Paul Sheldon, chief executive of Surrey County Cricket Club said, "Arthur McIntyre was a truly great man of Surrey and the Club would like to offer its condolences at this time to all his friends and family."